The season of orange leaves, pumpkin spices lattes and colder weather is finally upon us. I’ll be experiencing my first fall in Seattle this year; while I’m currently loving the Washington weather, I’m sure once the rain starts I’ll be longing for San Diego. My recent move has brought a lot of positive changes in my life - I’m loving Washington so far and enjoying my graduate program. With all these changes and the recent 20 hour drive, my skin has definitely had to adjust but for the most part, my skin has been very resilient. 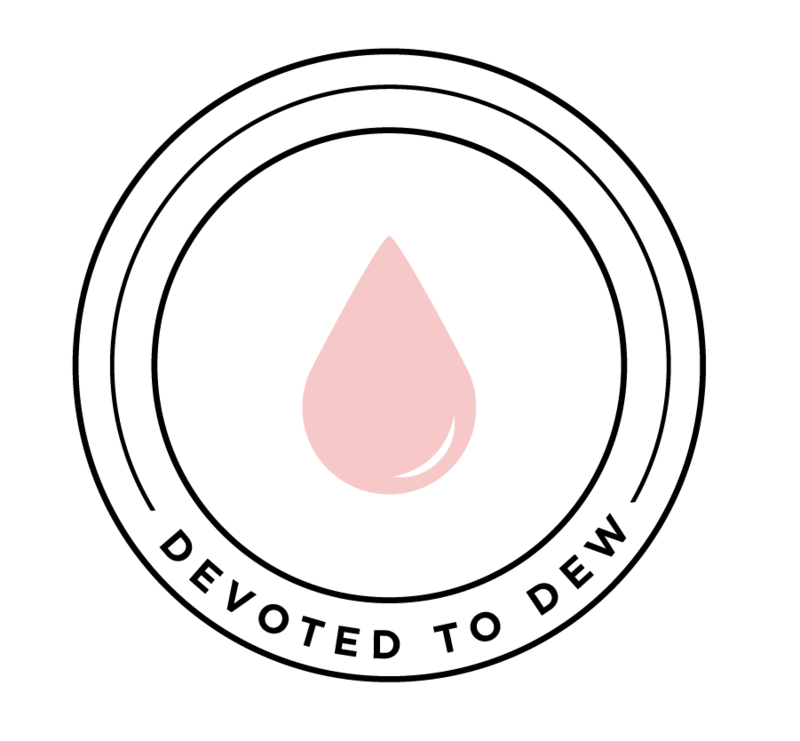 I have normal skin, and am not sensitive to a lot of products or ingredients so that hasn’t changed however the new climate I’m currently living in has made my skin slightly drier and I’ve noticed a couple of trouble spots around my nose. The most noticeable difference has been in my pores, the pores on my nose have been more visible than usual despite regular cleansing and exfoliating. I always try to minimize the appearance of pores as much as possible, but also hydration is very important to me, so I wanted to find something that could potentially treat both. With this in mind, I decided to add the COSRX Blackhead Power Liquid to my routine. What is the COSRX BHA Blackhead Power Liquid? The COSRX BHA Blackhead Power Liquid is a cult favorite to treat blackheads. This product is a chemical exfoliant, which at first I was a little weary of but really there is nothing to be afraid of. Chemical exfoliants basically use low grade chemicals to remove dead skin cells and other gunk in order to make way for cleaner, brighter skin. The active ingredients in chemical exfoliants are AHAs (Alpha Hydroxy Acids) and BHAs (Beta Hydroxy Acids). I did a ton of research to figure out what would work best for my purposes. According to The Klog, BHAs work better for large pores and blackheads while AHAs work best for sun damage repair and pigmentations. BHAs work better on pores and blackheads because they penetrate a lot deeper than AHAs, AHAs work on the surface of your skin. The most common forms of BHAs are salicylic acids (used most commonly in acne treatments) and betaine salicylate. The COSRX BHA Blackhead Power Liquid is a BHA chemical exfoliant (obviously) with the active ingredient being betaine salicylate, which is an awesome exfoliant. I’m a huge fan of COSRX, I’ve had really good experiences with their products so I was instantly drawn to this product. It’s a 4% BHA exfoliant, which is a little higher than most BHA exfoliants (they’re commonly 2% BHA). The other important ingredients are: white willow bark extract (reduces inflammation, redness and exfoliates), sodium hyaluronate (hydrates), niacinamide (brightens) and Panthenol (Vitamin B5 derivative which has a lot anti-aging properties). Overall, I felt like this product best fit my current concerns so I went ahead and introduced this into my routine. My first impression of the BHA Blackhead Power Liquid was that it was not as watery as I thought it would be, I thought it would be closer to a toner. It’s only a little bit thicker than a toner, but definitely not as thick as serum. It’s very light, so it absorbs quickly and does not leave behind any greasy residue. It doesn’t have any fragrance at all and once it dries, it doesn’t feel like you’re wearing anything at all. This product comes in a pump, the bottle contains 100mL of product. Like all COSRX products, the packaging is simple and clean which I am so here for. Since this is the first time I was using a chemical exfoliant and not a manual exfoliant, I decided to not put on serum while I was getting used to it in order to avoid any potential skin irritation. Once I was sure that my skin wasn’t going to have an adverse reaction to the BHA Blackhead Power Liquid, I started using my serum again. I applied the BHA Blackhead Power Liquid after my toner and before my essence. After applying, I waited for about 15 minutes to let the liquid settle and work it’s magic before putting on essence and continuing with the rest of my routine. I started by using it every other day to allow my skin to get used to it, then I did it everyday for 1 week. I applied it specifically to my nose and forehead, but you can apply this anywhere you’re having trouble with. I’ve been using the BHA Blackhead Power Liquid for 2 weeks now, and I saw results almost immediately. I’ll admit, the first night I used it I felt my skin tingle a little too much and I was nervous af, but my fears were for nothing. When I woke up the next day, my nose and forehead felt a lot smoother. My pores are less visible and the amount of blackheads on my nose were greatly reduced. This product is not drying, so you don’t have to worry about adding anything extra to hydrate your skin. As a personal preference, I used this as part of my night routine but you can use it in the morning as well. If you decide to use this as part of your morning routine be sure to put on sunscreen because chemical exfoliants increase your sensitivity to the sun. My skin looks awesome after two weeks of using it. Now that my skin has improved, I will cut down to using it 2-3 times a week instead of everyday. I totally understand why this is a cult favorite. The COSRX BHA Blackhead Power Liquid is amazing and the results are almost immediate. I was worried that it would dry my skin too much but I was delighted that I didn’t have to sacrifice hydration to use this. It’s also not greasy at all, so it’s ideal for day or nighttime use. With regular use, you will definitely see a lot of improvement. The BHA Blackhead Power Liquid is also pretty affordable, it retails at around $22 depending on the retailer. Remember, your skin is always changing so don’t be afraid to try new products that will better fit your needs. I was nervous as hell trying this out but I’m so glad I did. As a starter chemical exfoliant, I’m so glad I chose this one and I will definitely be continuing to use this regularly. Please note: I am not a licensed esthetician, I am just a skin enthusiast that happens to know how to Google. I research anything I put on my skin thoroughly before purchasing, and I’m just sharing my thoughts and experience.